Join Ripley’s for a grown up experience at the aquarium. 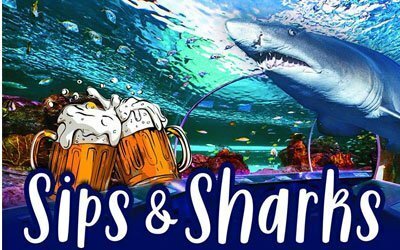 Adults 21+ are invited to sleep beneath shark lagoon on February 15th at 8:00 pm. Take a behind the scenes tour of the aquarium, enjoy 2 complimentary drinks, heavy hors d’oevres and access to a cash bar. There will also be trivia. Availability is limited, so reserve your spot today. For more information and to reserve, contact gbclassroom@ripleys.com, or call 888-240-1358 ex: 2142.